If it’s a choice between keeping the euro together or keeping the Conservative Party together. It’s in the national interest to keep the Conservative Party together. The BBC World Service is to be replaced by a rolling 24-hour radio show presented by Foreign Secretary William Hague. The World Service, which is funded through the Foreign Office, recently announced that it was axing 650 jobs and would be cutting five of its language services. The show will feature regular phone-ins allowing the 180 million listeners worldwide a chance to engage in light-hearted jovial banter with Mr Hague about war, famine and global hegemony. There will also be exciting new competitions in which people can win foreign aid, an arms shipment or military intervention. When I took part in a wash-up after Copenhagen with a group of American policy makers, I was struck by the sense that, although the summit had been tough for the United States, they took great consolation that the Europeans had had a much worse time of it during the climate talks. If you want to boil all this down to essentials, I’d suggest the following: (i) Mrs Clinton effectively said, “you’d better show discipline when it comes to the EU”; and (ii) Mr Hague basically said “OK”. I’d parse the ‘better show discipline’ line in two ways. First, the US wants the UK to play an active role in Europe. Second, it needs the Europeans to respond with one voice to a growing roster of global problems. But to take this beyond complacent lecturing (“we may have a lamentable recent foreign policy record, but at least we’re not as shambolic as those awful old worlders”), the Obama administration needs to do what it can to create an incentive for European cooperation. When it (i) starts listening to Europeans when they have caucused and arrived at a joint position; (ii) continues to listen, even if it doesn’t agree 100% with the European position; and (iii) foregoes the temptation to divide and conquer by playing favourites among European nations for short term tactical advantage – then, and only then, will I believe that the US is serious once again about the transatlantic relationship. It’s no wonder the markets are raising questions about UK public finances – neither of the main parties has anything approaching a clear message on fiscal tightening. I cannot see how the Government can promise to not affect front line services when you look at the scale of the cuts they have got to plan for. Liam Byrne is talking just about the first four years and after that there will undoubtedly have to be more pain and that is likely to be tax rises or even greater public sector cuts. And to those who say they do not know what the Conservatives will do, let us tell them. We will cut the spending that cannot go on and the borrowing that leads to ruin. (vii) nursing care in their homes for the elderly. (i) Scrap ‘a large slice’ of expensive quangos. Both parties need to convince the electorate they can get Britain back on its feet (the slogan I’d advise either to run their campaign under). But as Martin Wolf argues in today’s FT, at the moment it’s shaping up to be an election that both sides deserve to lose. In today’s FT, William Hague underlines (again) that a new Conservative government will see the European Union as a platform for achieving progress on global issues. With David Miliband’s enthusiasm for a G3, we’re left with robust cross-party consensus on Europe’s role as a foreign policy actor (whether it can fulfil this role is another matter). 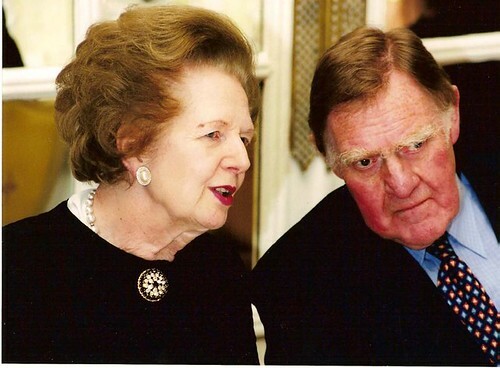 I’m reminded of how Margaret Thatcher’s press secretary, Bernard Ingham reacted when asked, shortly after the new Tory government took office, to write a report on how the government could build public support for the European Community. A community of 250 million could achieve more than a ‘debilitated nation of 55 million, however much the latter may trade on past imperial glory‘. True in 1980. Even more so thirty years’ later. I am rather taken aback by William Hague’s claim, reported by Iain Dale, that the UK is forecast to be only the world’s 11th largest economy by 2015. Given that Britain currently ranks 6th in PPP and nominal terms, that’s quite a drop. Russia is currently 11th in nominal terms – its economy is 40% smaller than the UK’s. Now I am very bearish about the British economy, but I also expect many other countries to face rocky times over the next decade. Not only does Hague make me look like a wide-eyed optimist, he obviously expects the UK to be alone in its economic troubles. He even mentions Italy as one of the countries he believes will prosper as the UK suffers – which strikes me as a real stretch (assuming he isn’t factoring in the Euro as a shield for the Italian economy). Anyone know what source Hague is using for his forecast? 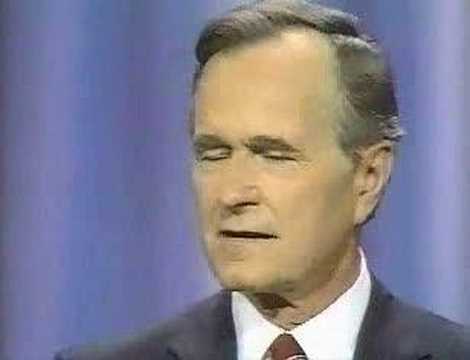 (And just to hedge a little – it’s possible that Dale misquoted him.) You can read the full speech here. In 2005, the UK was the 4th largest economy in the world. China overtook in 2006, France in 2008 and Italy in 2009. So now the official figures suggest that we have dropped to No7 (although I still have some doubt about the Italian figures that are incorporated into this analysis). Projecting forward, the combination of economic growth and population growth, plus a likely rising real exchange rate mean that Brazil and Russia will overtake us sometime soon, perhaps in 2012. India will almost certainly overtake as well, though probably not till 2015. But it also looks as though Canada could, if demand for natural resources continues to rise strongly, catch up and surpass UK GDP around 2015 as well. Even Australia is likely to have overtaken by 2020.